Expanded pantry into the basement stairway. Installed shelves provide space for storage of drygoods. what do you think about this pantry option? 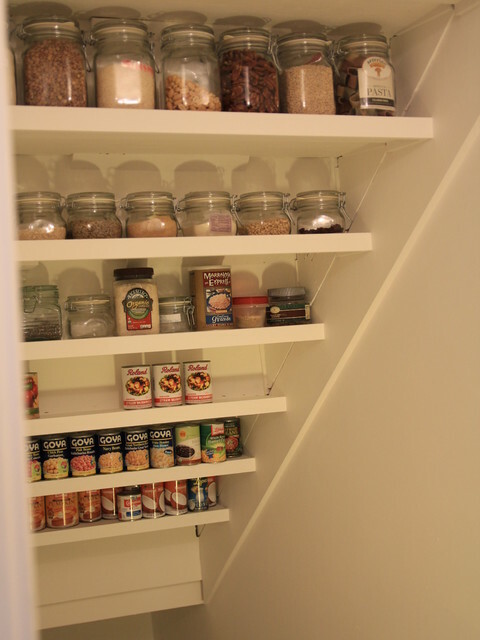 Under the stairs pantry! Wasted space? Think again!